According to the recently updated “Global Environment Clean up & Remediation Market By Medium, By Type, By Application, By Region, Competition Forecast & Opportunities, 2013-2023” issued by Research and Markets, the environment clean up & remediation market is projected to grow to nearly $130 billion by 2023, owing to growing demand for oil & gas, rising industrial pollution, and increasing number of pipeline leakages and incidents affecting the environment. 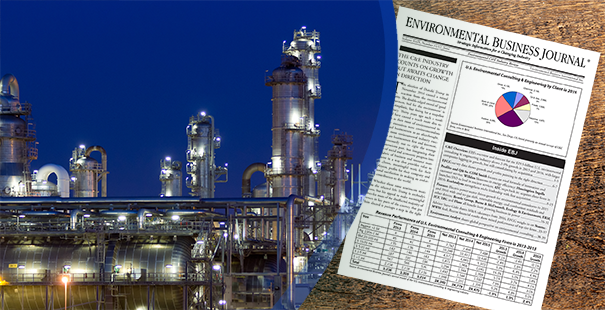 A similar market study published in 2017 by Zion Market Research estimated the environmental remediation market to reach $122.8 billion (USD) by 2022. According to the Zion Market Research report, entitled “Environmental Remediation Market for Banking and Financial Services, Telecom and IT, Healthcare, Government, Automotive, Government, Manufacturing and Retails and Other application: Global Industry Perspective, Comprehensive Analysis and Forecast, 2016-2022“, the global environmental remediation market was valued at around $79.57 billion in 2016 and was predicted to reach approximately $122.80 billion in 2022, growing at a compound annual growth rate (CAGR) of slightly above 7.5% between 2017 and 2022. Environmental remediation technology deals with the removal of contaminants from environmental media such as soil, groundwater, or surface water. Remediation technologies are generally categorized into ex-situ and in-situ methods. Ex-situ methods offer excavation of affected soils and subsequent treatment at the surface and extraction of contaminated groundwater. In-situ methods offer to treat the contamination without removing the soils or groundwater. Growing investments in the field of remediation services, stringent and transparent regulatory frameworks, and rapid industrialization in developing countries are drivers for the demand for environmental cleanup & remediation. Other drivers fueling the growth of environmental remediation market are rising demand from different industries such as oil and gas, mining and forestry, mining, automotive, chemicals, and others. North America and Europe are the major demand generating regions for environmental cleanup & remediation services, globally, on account of growing industrial and manufacturing activities in both regions. Some of the major players operating in global environment clean up & remediation market are Bechtel, Veolia Group, Clean Harbors, Suez S.A., Golder Associates Corporation, BRISEA Group, Inc., Dredging, Environmental & Marine Engineering NV, Terra Systems, Inc., ENTACT LLC, Weber Ambiental, etc. The Zion Market Research study provides a view on the environmental remediation by segmenting the market based on environmental medium, application, and region. All the of environmental remediation market have been analyzed based on present and future trends and the market is estimated from 2016 to 2022.In term of the environmental medium, environmental remediation market classified into soil and ground water. Based on application, global environmental remediation market is bifurcated into mining and forestry, oil and gas, agriculture, automotive, industrial, chemical, construction and land development and other application. The regional segmentation comprises of present and forecast demand in Asia-Pacific, Middle East & Africa, North America, Europe, and Latin America for environmental remediation market. 360 Market Updates recently published the Global Oil Spill Management Market Report 2018-2023. The report offers a comprehensive analysis on Oil Spill Management industry, delivering detailed market data and insights. The report provides analysis which is beneficial for industry insider, potential entrant, and investor. The Oil Spill Management Report provides information on the key business players in the market as well as their business methods, annual revenue, company profile and their contribution to the world Oil Spill Management market share. The report covers a huge area of information including an overview, comprehensive analysis, definitions and classifications, applications, and expert opinions. Worldwide and Top 20 Countries Market Size of Oil Spill Management 2013-2017, and development forecast 2018-2023. Main manufacturers/suppliers of Oil Spill Management worldwide and market share by regions, with company and product introduction, position in the Oil Spill Management market. Market status and development trend of Oil Spill Management by types and applications. 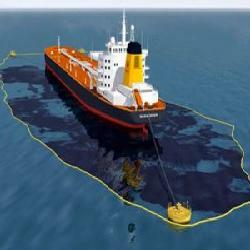 Cost and profit status of Oil Spill Management, and marketing status. Global Oil Spill Management market competition by top manufacturers/players, with Oil Spill Management sales volume, Price (USD/Unit), revenue (Million USD), Players/Suppliers Profiles and Sales Data, Company Basic Information, Manufacturing Base and Competitors and market share for each manufacturer/player; the top players including: Cameron International, Control Flow, National Oilwell Varco, Fender & Spill Response Services, Northern Tanker Company Oy, SkimOil, Hyundai Heavy Industries, GE Oil & Gas, Cosco Shipyard Group, CURA Emergency Services, and Ecolab. On the basis of product type, Oil Spill Management market report displays the production, revenue, price, Market Size (Sales) Market Share by Type (Product Category) and growth rate of each type (2013-2023), primarily split into Mechanical methods, Chemical and biological, and Physical. 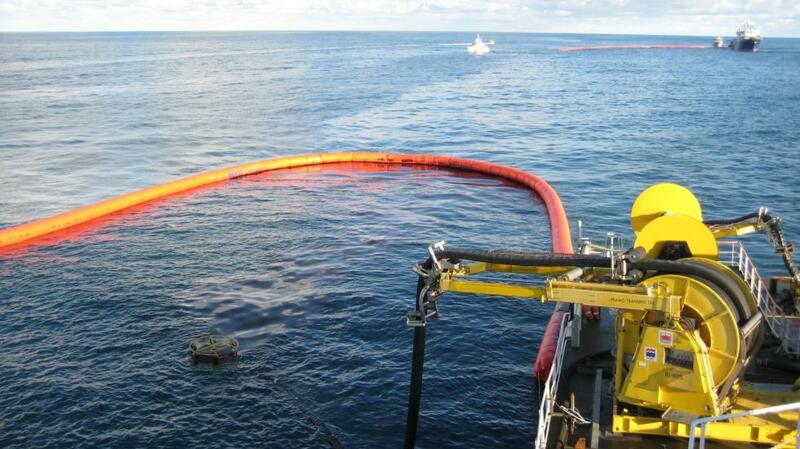 On the basis on the end users/applications, Oil Spill Management market report focuses on the status and outlook for major applications/end users, sales volume, market share and growth rate for each application, including Onshore and Offshore. What will be the market growth rate of Oil Spill Management in 2023? What are the key factors driving the Global Oil Spill Management? What are sales, revenue, and price analysis of top manufacturers of Oil Spill Management? Who are the distributors, traders and dealers of Oil Spill Management Market? Who are the key vendors in Oil Spill Management space? What are the Oil Spill Management Industry opportunities and threats faced by the vendors in the Global Oil Spill Management? What are sales, revenue, and price analysis by types, application and regions of Oil Spill Management? What are the market opportunities, market risk and market overview of the Oil Spill Management Market? The Oil Spill Management Market Report provides a comprehensive overview including Current scenario and the future growth prospects. 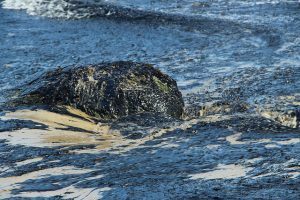 The Oil Spill Management Industry report sheds light on the various factors and trends in forthcoming years and key factors behind the growth and demand of this market is analysed detailed in this report. The Ontario Ministry of Environment and Climate Change (MOECC) recently posted notice on the Environmental Bill of Rights Environmental Registry of the regulatory changes to the management of excess soil (Excess Soil Management Regulatory Proposal, ERO# 013-2774). Excess soil is soil that has been dug up, such as during excavation activities, and cannot be reused at its original site and must be moved off site. There is much controversy in the Province of Ontario and other provinces concerning the management of excess soil as there are claims and growing evidence that some companies mix clean soil with contaminated soil, some companies dispose of contaminated soil as clean soil, and other questionable practices. The MOECC proposal clarifies where soils can be reused based on the soil characterization and aims to reduce greenhouse gasses from the transportation of soil by encouraging local reuse. The proposal also clarifies that the project leader is responsible for the management and relocation of the excess soil generated during a project to ensure proper characterization and relocation. Minor amendments to O.Reg. 153/04 and to O. Reg. 347 are also proposed. This proposal is part of the MOECC’s response to the commitments outlined in Ontario’s Excess Soil Management Policy Framework. Other actions of the framework include developing priority education, outreach and training initiatives to support implementation. Excess soil would be designated as waste when it leaves the project area unless it is reused in accordance with the rules set out in this regulation. If designated waste, the regulation would clarify when an ECA is not required. 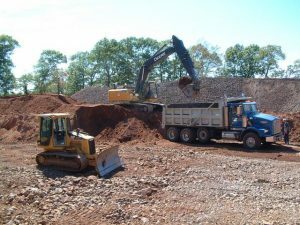 Hauling of excess soil would generally not need an ECA, but is still subject to certain rules, such as maintaining records. Project leaders may use temporary soil storage sites without an ECA as long as certain conditions are met. Unless exempted, a project leader is responsible for preparing an Excess Soil Management Plan (ESMP), which involves determining contaminant concentrations on the soil, finding appropriate receiving sites, develop a tracking system and record keeping requirements. Key information from the ESMP would be registered on a public registry. A qualified person (QP) would need to prepare or supervise the ESMP. The regulation would be phased in over two to three years. Align the requirements for soil being taken to Record of Site Condition (RSC) or phase two properties with the new rules for excess soil proposed in the On-Site and Excess Soil Management Regulation. Resolve delineation challenges experienced at properties going through the Risk Assessment process. Remove Record of Site Condition triggers for low risk projects. Provide flexibility for meeting contamination standards where exceedances are cause by substances used for ice and snow safety, discharges of treated drinking water, and presence of fill that matches local background levels. Clarify operational requirements to support exemptions from ECA requirements for excess soil related activities. Specifies ESMP contents, including an assessment of past uses, sampling and analysis plan, excess soil characterization, requirements for excess soil tracking systems, a destination assessment and identification, and declarations required of the project leader and qualified person, and applicable soil quality standards and related rules. Comments can be made on the proposal up to June 15, 2018 on the Environmental Registry of Ontario proposal site or by mail. Pario Engineering & Environmental Sciences LP, a provider of specialized engineering and environmental services to the insurance and risk management industries, recently announced it has opened a new branch in Moncton, New Brunswick. 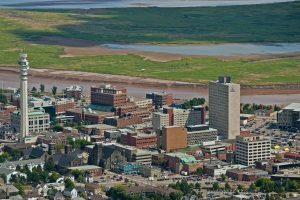 It also announced that Steven Vidito has joined Pario as its Senior Geoscientist for Environmental Services, and will work out of the new Moncton location. Mr. Vidito has over 25 years of experience and demonstrated success in the planning and execution of complex hydrogeological and environmental programs throughout Canada. He has extensive experience in contaminant hydrogeology, contaminated site assessment, soil and groundwater remediation, and regulatory compliance. He has coordinated and managed numerous environmental projects for a broad range of sites including residential, commercial, and industrial properties as well as federal facilities across Canada. Additionally, Mr. Vidito has experience in providing senior technical oversight and peer review for reports and regulatory applications. His familiarity with the insurance industry will be a major asset in providing exceptional service to our clients. 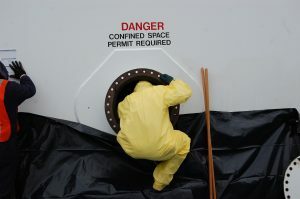 In the field, Mr. Vidito’s experience extends to on-site investigation, remediation, treat in-situ, treat ex-situ, containment procedures, risk evaluation, cost benefit analysis, and the execution of complex remedial projects. Pario identified New Brunswick as a key location for those clients seeking environmental and forensic expertise. This location, along with the company’s current Halifax location, will serve Atlantic Canada, and many of Pario’s insurance and claims clients will now have local support to manage and control the costs of spill response along with mitigation of environmental liabilities. Mr. Vidito will report to Brian Merrick, Director of Atlantic Canada. Mr. Merrick has been with Pario since 2007. He has over 22 years of experience, including senior technical and project management positions throughout Atlantic Canada. 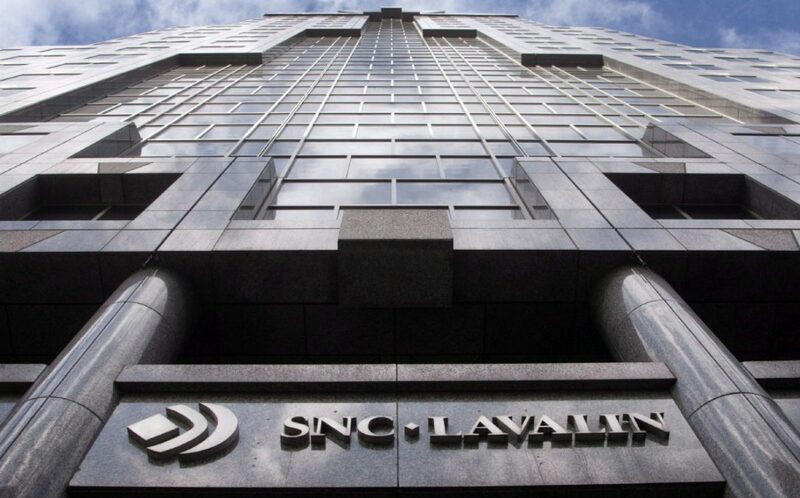 Canadian construction, engineering and environmental services group SNC-Lavalin is to establish a new hub in London, UK. 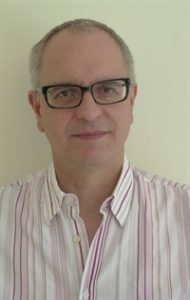 Having completed the acquisition of British-based firm Atkins last summer (EA 04-Jul-17), the Montreal-headquartered firm is investing in the new office located in London’s Victoria, to support plans for growth in the UK market and continue its strong presence for the London clientbase, whilst also facilitating bringing together over 1,000 people from across SNC-Lavalin and its Atkins, Faithful+Gould and Acuity businesses into “a working space fit for the 21st Century”, it said.